Corbyn building shadow cabinet Jump to media player Labour's new leader is building his shadow cabinet, one day after his landslide victory in the party's leadership contest. 'Fantastic moment, fantastic mandate' Jump to media player Jeremy Corbyn says he was "a bit surprised" at the scale of his victory in the Labour leadership contest. Jeremy Corbyn's victory speech in full Jump to media player Jeremy Corbyn addresses a Labour Party special conference after winning the leadership race with 60% of the vote. Corbyn: Things can, and they will, change Jump to media player Jeremy Corbyn says the Conservatives had used the economic crisis to impose a "terrible burden" on the poorest people. The moment Corbyn win was announced Jump to media player Jeremy Corbyn has been elected Labour Party leader in the first round of voting. 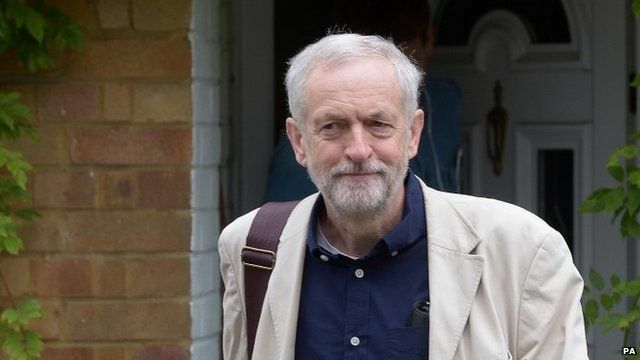 Corbyn elected Labour leader Jump to media player Jeremy Corbyn has been elected Labour Party leader in the first round of voting, with 251,417 votes. Corbyn win 'should be respected' Jump to media player The former Labour leader, Ed Miliband, has congratulated his successor, Jeremy Corbyn, and has called for his mandate to be respected. Labour's new leader is building his shadow cabinet, one day after his landslide victory in the party's leadership contest. On Sunday, new deputy leader Tom Watson told the BBC's Andrew Marr that party MPs must respect the mandate Jeremy Corbyn has been given by members. Few MPs backed Mr Corbyn in the leadership contest and high profile figures have refused to serve under him and have left "by mutual agreement". Political editor Laura Kuenssberg reports.